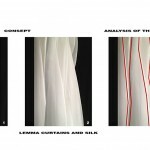 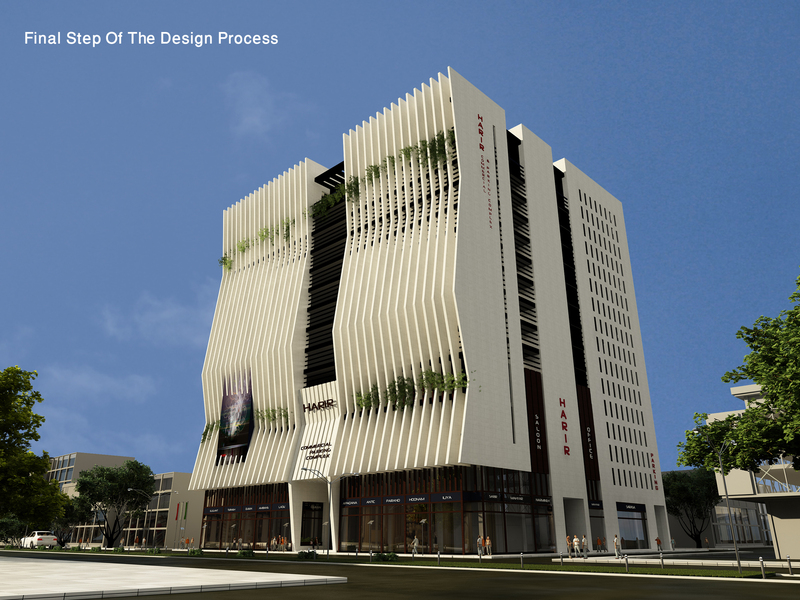 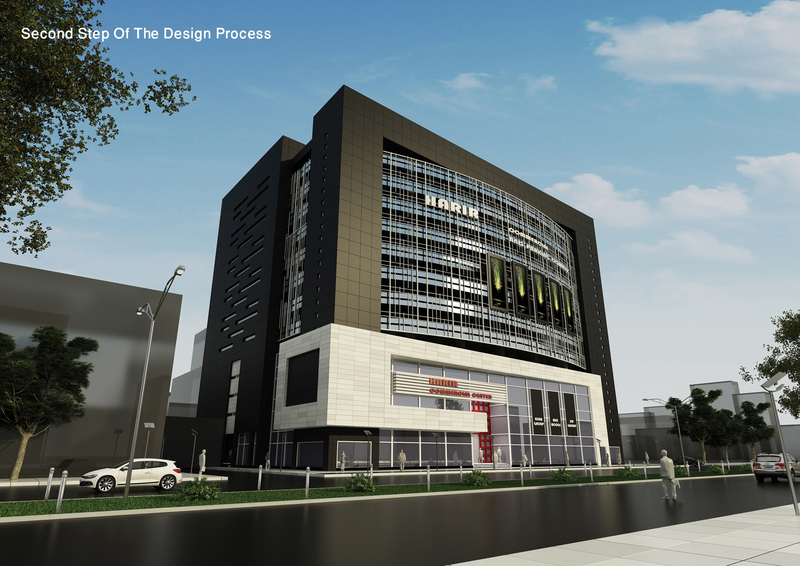 This project with commercial application and multilevel parking lots has been designed to solve the problem of urban congestion (city traffic) in the operating boulevard and also organize the guilds of curtain and fabrics and interior decoration of the building. 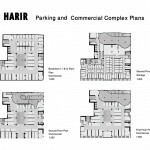 First, the employer’s requirement was to design two projects namely “Harir and Abrisham” at two sites against each other and in interaction with each other. 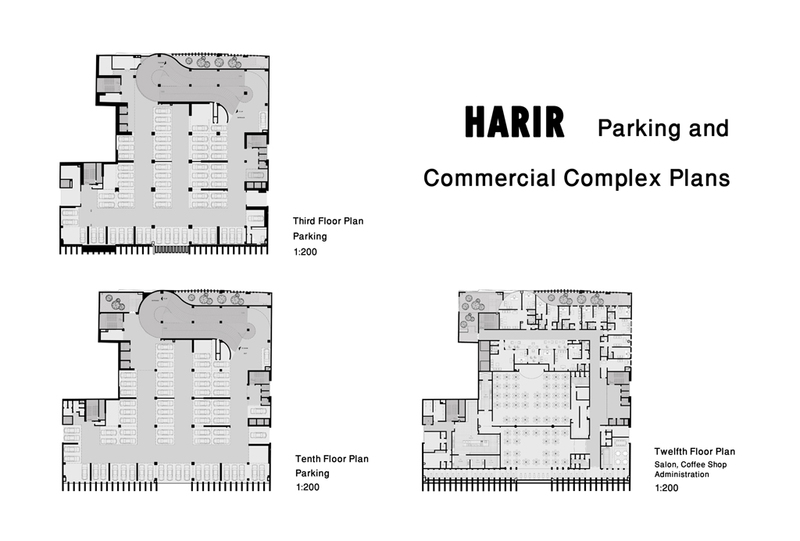 At this phase of designing, the ground and first floors occupancy area has been a hundred percent and the parking levels have been seventy percent. 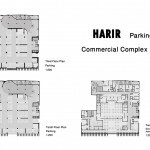 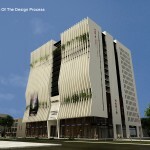 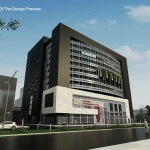 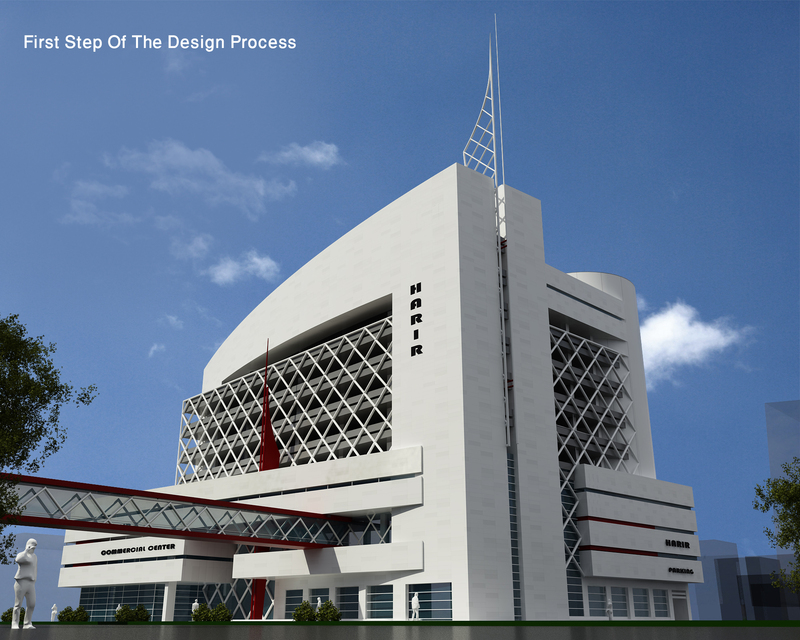 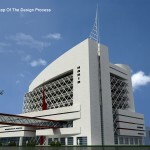 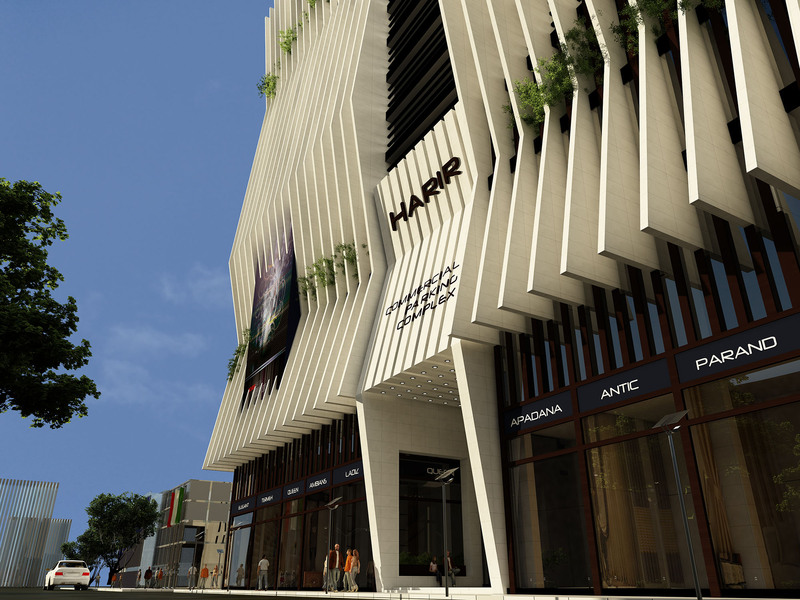 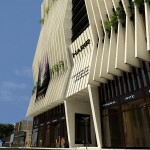 Two projects of “Harir and Abrisham” were designed in ten floors, one floor warehouse, three floors commercial and six floors parking lots and the connection between two projects on both sides of 35-meter operating boulevard through the overpass was proposed to the employer and was accepted. 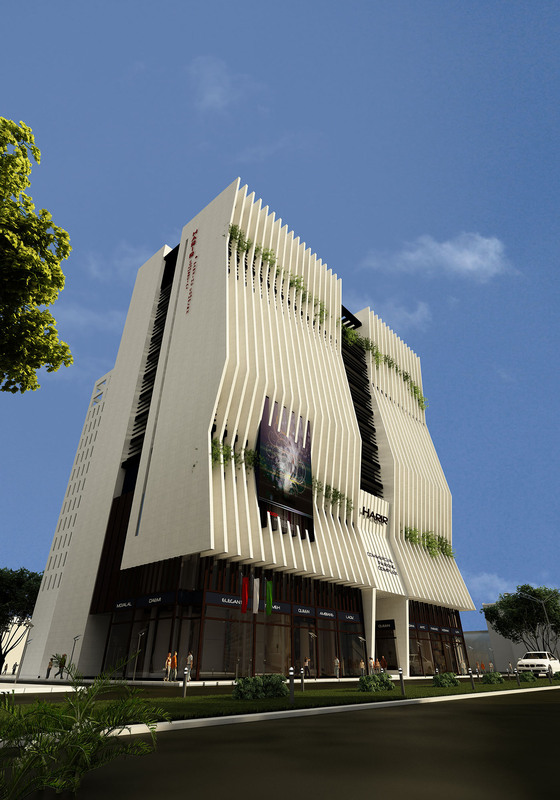 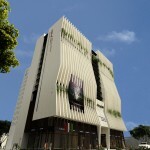 In the second phase, designing of “Abrisham” project was removed and the occupancy area of the parking levels in “Harir” project despite the consultant’s objection was added a hundred percent and other applications such as Hall and administrative applications on the top floor were added to the complex and the project building was revised again in 15 floors consisting of four commercial floors, a warehouse floor, a 9-storey parking and one Hall and administrative floor and due to these changes the consultant’s view has been to redesign the façade. 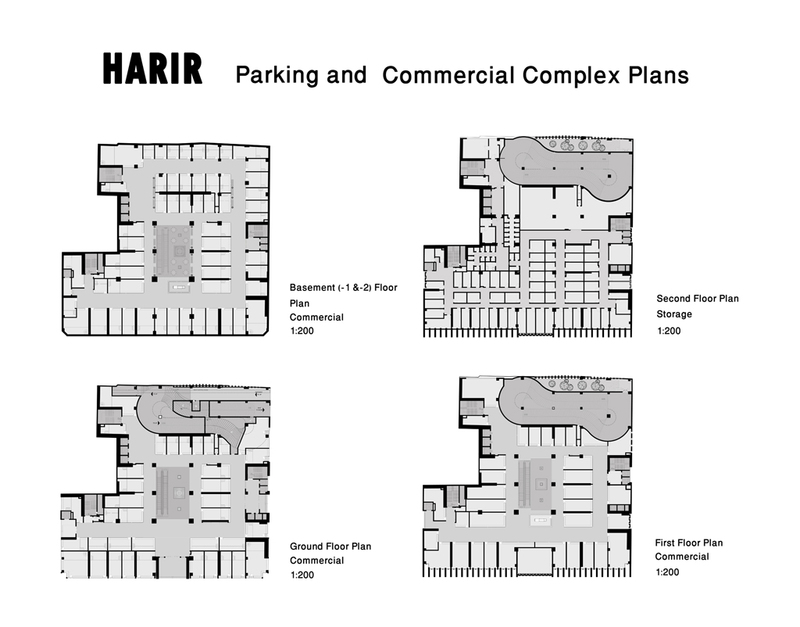 Providing maximum useful commercial and parking space, and avoiding mixing different applications in this complex and individuals’ easy access to the places desired have been among the objectives of the plan design.